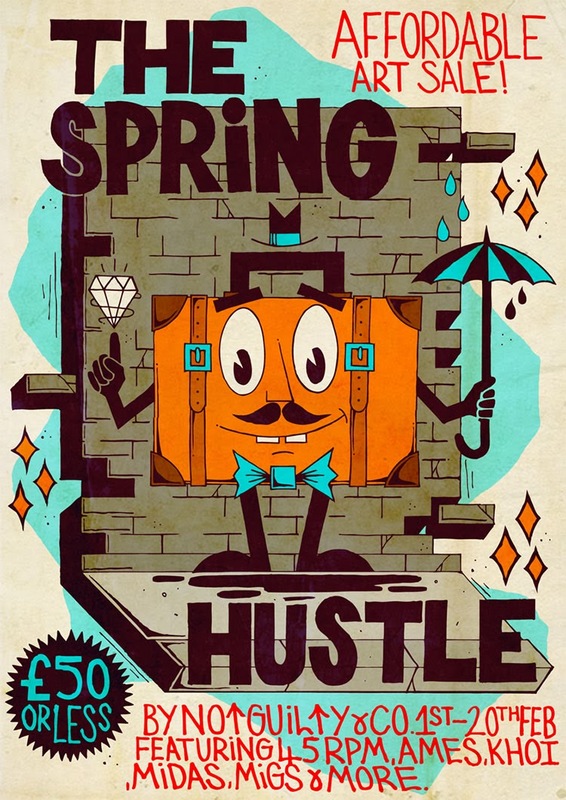 NotGuilty presents THE SPRING HUSTLE. An online affordable art Exhibition. Featuring artwork from the likes of Ames, Khoi, Boms, Midas, Migs, 45RPM and more. be sent by courier, or can be viewed and purchased at the NotGuilty Studio in Bristol. 1st February 2014, so watch this space.